We are proud to announce that Toptal is sponsoring Yonder, a round table conference that brings together leaders of distributed companies to share and learn from one another. It’s a roundtable discussion for founders, owners, CEOs, and other company leadership. It is a chance for distributed organizations to get on the same page so that we can move industries in the right direction. The object of Yonder is to get to know one another, share, and learn. Aside from some brief introductions, all sessions happen with an open discussion format. 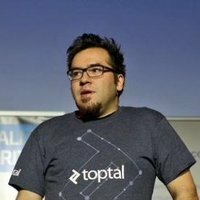 Kenan Salihbegovic, Head of Community at Toptal will be there so if have any questions feel free to cotact him.